The season 2011/12 is definitely one with more misses than hits. We have so many opportunities to challenge for higher positions and qualify to Cup Final(s) but somehow lost out at the last hurdle. Perhaps Everton has an inferiority complex, perhaps Everton was not brave enough. We'll never know our true potential for this season. However we had many positive points too. The growth of Fellaini as the midfield maestro is good for us. The capture of Jelavic was great. Baines continue to be one of the best if not the best Left back in business. The team is steady but just like previous seasons, need a few more quality addition. Lets hope we can capture Pienaar back from Spurs. He should have never left us, and he seems much happier at Goodison. Our Board must take responsibility and find investment. We ought to sign Landon Donovan and Pienaar if we have the funds to do so. 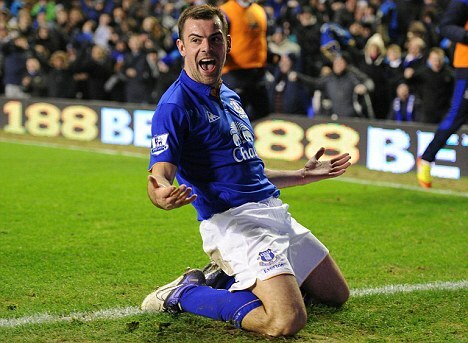 Personally, I feel Darron Gibson's move to Everton was the best deal we did. For the price we paid and what we got back, is excellent. 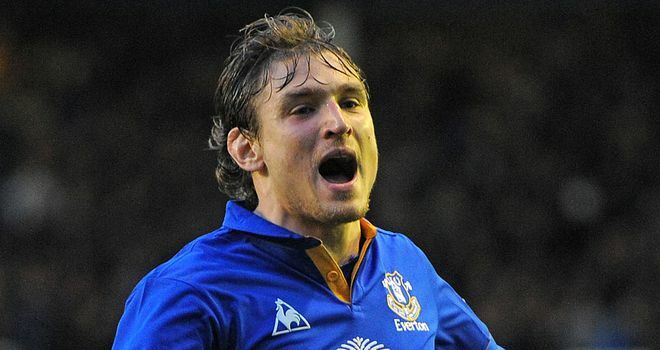 Jelavic may be scoring, but with Gibson around, Fellaini is now able to push forward to support Jelavic. Gibson has been steady and lets hope he becomes better next season.